Are you confused about fat? If you’re wondering how much fat you and your family should be eating, you’re certainly not the only one. For decades, fat has been touted as the enemy of a healthy diet, with the number and popularity of low fat food choices growing exponentially. However, in recent years there has been growing talk of the importance of ‘healthy fats’ in your diet, as well as concerns raised about the ingredients used in low fat products. So what exactly is the truth about fats? Our bodies need some fat from food. It’s a major source of energy and helps absorb some vitamins and minerals. Fat is also needed in the building of our bodies’ cells and is essential for blood clotting and muscle movement. To understand the effects of fats on your body you need to know about cholesterol. Cholesterol is mostly made in the liver and it’s carried in the blood in two ways: as low density lipoprotein (‘bad’) cholesterol and high density lipoprotein (‘good’) cholesterol. The type of fats we get from our diet affect the levels of bad and good cholesterol in our blood. Too much of certain fats can raise the amount of bad cholesterol, and too much bad cholesterol can lead to fatty deposits developing in the arteries, which can restrict the flow of blood to the heart and brain, increasing the risk of heart disease and stroke. On the other hand, good cholesterol has a positive effect by taking cholesterol from parts of the body where there is too much of it, to the liver, where it is disposed of. So which fats are linked to good and bad cholesterol? Good fats come mainly from vegetables, nuts, seeds and fish, and mostly fall into two broad groups – monounsaturated fats and polyunsaturated fats. Monounsaturated fats help protect our hearts by maintaining levels of good cholesterol while reducing levels of bad cholesterol. Sources of monounsaturated fats include olive oil, rapeseed oil, avocados, and most nuts. Polyunsaturated fats are essential fats. That means they’re required for normal bodily functions but your body can’t make them, so you must get them from food. They can also help lower the level of bad cholesterol in our bodies. There are two main types of polyunsaturated fats: omega-3 fats and omega-6 fats. Omega-3 fats are found in oily fish such as mackerel, kippers, herring, trout, sardines, salmon and fresh tuna, while omega-6 fats are found in vegetable oils such as rapeseed oil, corn oil, and sunflower oil, as well as some nuts. While most of us get sufficient omega-6 in our diet, mostly from cooking oil, we’re advised to eat more omega-3 by eating at least two portions of fish a week, including one of oily fish. Saturated fats are the fats you need to look out for. Too much saturated fat can increase the levels of bad cholesterol in your blood. 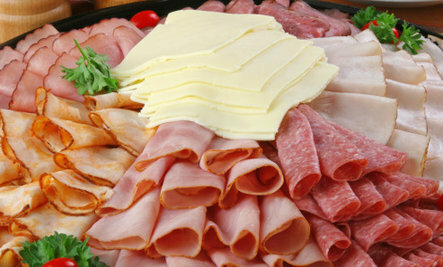 Unfortunately, saturated fats are found in many foods, both sweet and savoury. Most of them come from animal sources, including meat and dairy products. Just a few examples are fatty cuts of meat, sausages and other meat products, butter, cheese, chocolate, biscuits, and cakes. According to the NHS, most people in the UK eat too much saturated fats. The average man should aim to have no more than 30g of saturated fat a day, the average woman should aim to have no more than 20g of saturated fat a day and children should have less. In particular, be on the look-out for so-called ‘trans fats’ – mostly found in products containing hydrogenated vegetable oil. Like saturated fats, trans fats can raise bad cholesterol levels in the blood and can actually reduce the amount of good cholesterol. This is why it’s recommended that adults have no more than about 5g a day of these. Your fat intake, as with any part of your diet needs to be balanced. While good fats certainly have health benefits, that doesn’t mean you should be eating them to excess. Equally, although it’s important to know which fats are ‘bad’, it’s ok to have some in moderation. Current UK government guidelines actually advise cutting down on all fats, while replacing saturated fat with some unsaturated fat. While you can certainly make more informed decisions about fat, ultimately, when it comes to the health of you and your family, you will need to focus on your overall diet and make sure that fats are a balanced part of that.